Building on 8 years developing conferences in the Cyber Security space the SMi Group are delighted to announce launch their 6th in the series Oil and Gas Cyber Security North America. This conference will provide delegates with an information packed two day agenda with representatives from across the industry, giving a comprehensive overview of the market, looking at insider threats, the latest technology, live demonstrations, current and future threats, APT and much more. The event will present itself as the perfect platform for learning about the real issues currently being faced by the industry. Hear from leading experts who are currently facing cyber threats. This is a unique opportunity to hear about cyber security expressed from government personal and the operators as well as understanding key market challenges, regulations, human behaviour and technology available. The launch of SMi’s Oil and Gas Cyber Security North America conference is a not to be missed event. The two day conference will provide delegates with the perfect opportunity to gain a complete overview of the industry in North America and is a fantastic chance for information gathering, idea sharing and problem solving debate. This presentation will describe tenants of a cybersecurity program including incident handling. It will describe the incident handling process including the needed policy, plans, procedures to prepare, detect, analyze, contain, eradicate and recover from cyber incidents as well as share incident information with others. 10:50 Are Control System Networks Expendable? •Harnessing the power of threat intelligence collection, aggregation, ingestion, and automation for full threat intelintegration into your cybersecurity defense lifecycle. •Adding global context to internal and external threat intel sources enables decision support both within and outside the enterprise perimeter. •Aggregating disperate threat information supports improved analysis and confidence. The supply chain is now a prime target for cyber adversaries. Ensuring resilience in the supply chain is critical to managing a company's cyber risk. • What is the role and importance of cybersecurity in supply chain management? • How do oil and gas companies manage the cybersecurity of their partners and vendors? • What is the responsibility of senior executives and Boards of Directors in supply chain security? · Why is cyber security for ICS/OT so hard ? · What’s the problem with the ‘solutions’ we have ? This session will discuss several incidents regarding pipeline infrastructure and various assessments ICS-CERT has performed. It will also briefly discuss the role and capabilities of ICS-CERT and best practices for securing Industrial Control Systems. Robert Parisi, FINPRO Cyber & Technology Product Lead, Marsh, Inc.
FINPRO Cyber & Technology Product Lead, Marsh, Inc.
View details ERPScan Sponsors and Exhibitors http://erpscan.com/ ERPScan is one of the most respected and credible Business Application Security provider. Founded in 2010, the company operates globally. Named as an ‘Emerging vendor’ in Security by CRN and distinguished by more than 25 other awards - ERPScan is the leading SAP SE partner in discovering and resolving security vulnerabilities. ERPScan consultants work with SAP SE in Walldorf supporting in improving security of their latest solutions. We use ‘follow the sun’ principle and function in two hubs, located in the Netherlands and the US to operate local offices and partner network spanning 20+ countries around the globe. View details IGUANA Sponsors and Exhibitors www.iguanasecurity.com The IGUANA family of solutions protects critical networks and data assets against modern cyber-attacks. IGUANABlue provides resilient security for Industrial Control Systems, customised specifically for the requirements of ICS. Tailored directly to the risk and criticality of your plant function, IGUANA Blue balances the need for security whilst still maintaining business efficiency, providing a cost-effective ‘fit and forget’ data guard solution against growing cyber threats. Based on the same architecture and security aspects of the award-winning CATAPAN range of Government Grade IP Encryption solutions, IGUANAGreen has been designed to provide commercial organisations the capability to securely send and receive sensitive information whilst harnessing the flexibility of local IP networks and protecting data from the increasing threat of cyber-attack. View details Lookingglass Cyber Solutions Sponsors and Exhibitors http://www.LGScout.com Lookingglass Cyber Solutions is the world leader in threat intelligence management combining global network situational awareness with automated Internet intelligence to support threat, security and risk operations. Lookingglass enables security professionals to navigate, investigate, analyze and research relevant, context-enriched threat information through a single platform. The Lookingglass Scout platform provides aggregated access to Lookingglass’ industry-leading, extensive and diverse threat sources alerting organizations to impending risk. The Scout platform drives effectiveness and efficiency by replacing the manual process of management threat intelligence for enterprise and mid-sized organizations. View details Palo Alto Networks Sponsors and Exhibitors https://www.paloaltonetworks.com/ Palo Alto Networks has pioneered the next generation of network security with an innovative infrastructure platform that allows organisations to secure their network and safely enable the applications running on it. This platform has three major elements: Next-Generation Firewall (NGFW), Advanced Endpoint Protection (AEP), and Threat Intelligence Cloud (TIC). The NGFW delivers application, user, and content visibility and control with in-line protection against network based cyber threats. AEP delivers protection against cyber attacks that aim to exploit software vulnerabilities on a broad variety of fixed and virtual endpoints. TIC provides central intelligence capabilities and automated delivery of preventative measures against cyber attacks. We protect the networks of more than 25,000 organisations across multiple industries and are currently a Leader in the Gartner Magic Quadrant for Enterprise Firewalls – our fourth consecutive appearance in the Leader’s Quadrant. View details Auerbach Publications Supporters http://www.auerbachpublications.com/ Auerbach Publications provides high-quality, high-caliber information aimed specifically at the diverse audience of professionals in the information and communication technology field. The unique blend of leading-edge technical information combined with practical and proven expertise sets Auerbach apart from other computer-related publications. The authors of Auerbach’s vast array of books are selected carefully based on their expertise and contribution to the ICT field. The information is relevant, timely and accurate. Few publishers can sustain the longevity of practical and meaningful insight as provided by Auerbach’s team of recognized authors and specialized editors delivering knowledge-based solutions to the most demanding ICT problems. View details E&P Daily Supporters http://www.ogilviepub.com/publication_detail.php?id=1 E&P Daily presents you with up to the minute vital facts on the international upstream industry. E-mailed to you every day, two pages in length, E&P Daily is an accurate and concise report that will immediately highlight the most significant international developments in the upstream industry. Regular features include ongoing and future projects, government policy and company news. Expert analysis will alert you to business opportunities worldwide. The weekly Sharewatch quickly highlights the status of the companies involved in the global upstream industry. View details Energy Global Supporters http://www.energyglobal.com Energyglobal.com is a web product from leading energy publishers, Palladian Publications Ltd, providing a unique information portal spanning the energy sector worldwide. In tandem with the website, the company also publishes a series of industry leading energy related technical and analytical magazines available by subscription, including: Oilfield Technology, Hydrocarbon Engineering, World Pipelines and LNG Industry. View details Information Security Forum (ISF) Supporters http://www.securityforum.org Founded in 1989, the Information Security Forum (ISF) is an independent, not-for-profit association of leading organisations from around the world. It is dedicated to investigating, clarifying and resolving key issues in cyber, information security and risk management and developing best practice methodologies, processes and solutions that meet the business needs of its Members. ISF Members benefit from harnessing and sharing in-depth knowledge and practical experience drawn from within their organisations and developed through an extensive research and work program. View details Information Security Today Supporters http://www.infosectoday.com Information Security Today provides essential information for managing the security of a modern, evolving enterprise. It is written for information security managers and other technical managers and staff who are the first-line support responsible for the daily, efficient operation of security policies, procedures, standards, and practices. View details LNG Industry Supporters http://www.lngindustry.com LNG Industry is the leading publication for the global LNG industry, focusing on the entire LNG value chain. The magazine provides a global perspective on the industry with regular regional overviews, expert analysis and case studies, as well as in depth technical features addressing all aspects of the LNG industry. View details Natural Gas Europe Supporters http://www.naturalgaseurope.com Europeans are holding out great promise for shale and other unconventional energy resources as a means of enhancing domestic resources and energy security. Natural Gas Europe is an online community focused primarily on unconventional gas resources in addition to energy security and pipelines. View details Oil and Gas Innovation Supporters http://www.oilandgasinnovation.co.uk Oil and Gas Innovation embodies the true driving force of growth in the Oil and Gas sector, innovation. We are a trusted, established and expert voice in this constantly changing industry. Always on top of the latest trends with in depth analysis of innovative technologies for the upstream, midstream and downstream sectors. We pride ourselves in bringing industry related trends, news and results to our worldwide readers which is otherwise difficult to obtain. We do a great job highlighting your technology, which our readers want and need. View details Oil, Gas & Energy Law Supporters http://www.ogel.org Oil, Gas and Energy Law (OGEL, ISSN 1875-418X) is a comprehensive and innovative information service with a focus on oil-gas-energy law, regulation, treaties, judicial and arbitral cases, voluntary guidelines, tax and contracting, including the oil-gas-energy geopolitics. See www.ogel.org for more details on published issues and details on how to contribute. View details Oilandgaspress Supporters http://oilandgaspress.com Oilandgaspress is a professionally packaged Press Release service by Vchris Limited. A media relations consultancy company, which links corporate organizations directly with the media-print electronic. We offer a unique opportunity for corporate organizations to get their company news, press release and corporate profiles to a huge online population globally. Oilandgaspress provides an optimised press release service that enhances a companies or organisations profile within the search engine directories. An online news release will take your companies message to thousands of potential customers and will allow for click-through to your website. As e-commerce professionals the Oilandgaspress staff will ensure that thousands on the web read your press releases everyday. Oilandgaspress ensures that each press release is optimised for the search engines utilising keywords that are used by your target audience in searching for your product or information. View details Oilfield Conference Supporters http://www.oilfieldconference.com/ Oilfield Conference is the world's leading oil and gas conference and exhibition directory providing delegates with event information and registration services. We are the foremost online source for oil & gas engineers, scientists and management executives to access technical information about oil and gas conferences, exhibitions and forums. In addition to our online directory services, we publish the Oilfield Conference magazine, a quarterly publication that is available online and formatted for iPad, Android and other mobile tablets. View details Virus Bulletin Supporters http://www.virusbtn.com Virus Bulletin is a security information portal, testing and certification body with a formidable reputation for providing users with free of charge independent intelligence about the latest developments in the global threat landscape. It includes comparative product reviews featuring the unique VB100 (anti-virus) & VBSpam (anti-spam) award scheme and a wealth of material dating back to 1989. The annual international Virus Bulletin conference is cited by many as the IT security event of the year. Our stylish hotel welcomes you with contemporary décor, outstanding amenities, and signature Marriott service. Enjoy a vibrant atmosphere just minutes from great shopping and dining at the Houston Galleria. In addition, with complimentary shuttle service to and from the mall, plus even more upscale shopping in chic Uptown Park nearby, we are an ideal destination for Houston shopping trips. Make yourself at home in lavishly appointed guest rooms, featuring plush bedding, spacious areas to work and relax, high-speed Internet access, and flat screen TV's. On-site amenities include a relaxing indoor atrium pool, expanded fitness center, Concierge levels, our own Southwestern restaurant, Alexander, and our relaxing Fairways Lounge. ERPScan is one of the most respected and credible Business Application Security provider. Founded in 2010, the company operates globally. Named as an ‘Emerging vendor’ in Security by CRN and distinguished by more than 25 other awards - ERPScan is the leading SAP SE partner in discovering and resolving security vulnerabilities. ERPScan consultants work with SAP SE in Walldorf supporting in improving security of their latest solutions. We use ‘follow the sun’ principle and function in two hubs, located in the Netherlands and the US to operate local offices and partner network spanning 20+ countries around the globe. The IGUANA family of solutions protects critical networks and data assets against modern cyber-attacks. IGUANABlue provides resilient security for Industrial Control Systems, customised specifically for the requirements of ICS. Tailored directly to the risk and criticality of your plant function, IGUANA Blue balances the need for security whilst still maintaining business efficiency, providing a cost-effective ‘fit and forget’ data guard solution against growing cyber threats. Based on the same architecture and security aspects of the award-winning CATAPAN range of Government Grade IP Encryption solutions, IGUANAGreen has been designed to provide commercial organisations the capability to securely send and receive sensitive information whilst harnessing the flexibility of local IP networks and protecting data from the increasing threat of cyber-attack. Lookingglass Cyber Solutions is the world leader in threat intelligence management combining global network situational awareness with automated Internet intelligence to support threat, security and risk operations. Lookingglass enables security professionals to navigate, investigate, analyze and research relevant, context-enriched threat information through a single platform. The Lookingglass Scout platform provides aggregated access to Lookingglass’ industry-leading, extensive and diverse threat sources alerting organizations to impending risk. The Scout platform drives effectiveness and efficiency by replacing the manual process of management threat intelligence for enterprise and mid-sized organizations. Oilfield Conference is the world's leading oil and gas conference and exhibition directory providing delegates with event information and registration services. We are the foremost online source for oil & gas engineers, scientists and management executives to access technical information about oil and gas conferences, exhibitions and forums. In addition to our online directory services, we publish the Oilfield Conference magazine, a quarterly publication that is available online and formatted for iPad, Android and other mobile tablets. Auerbach Publications provides high-quality, high-caliber information aimed specifically at the diverse audience of professionals in the information and communication technology field. The unique blend of leading-edge technical information combined with practical and proven expertise sets Auerbach apart from other computer-related publications. The authors of Auerbach’s vast array of books are selected carefully based on their expertise and contribution to the ICT field. The information is relevant, timely and accurate. Few publishers can sustain the longevity of practical and meaningful insight as provided by Auerbach’s team of recognized authors and specialized editors delivering knowledge-based solutions to the most demanding ICT problems. 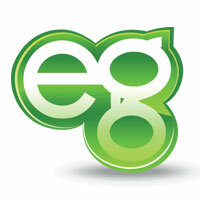 Energyglobal.com is a web product from leading energy publishers, Palladian Publications Ltd, providing a unique information portal spanning the energy sector worldwide. In tandem with the website, the company also publishes a series of industry leading energy related technical and analytical magazines available by subscription, including: Oilfield Technology, Hydrocarbon Engineering, World Pipelines and LNG Industry. E&P Daily presents you with up to the minute vital facts on the international upstream industry. E-mailed to you every day, two pages in length, E&P Daily is an accurate and concise report that will immediately highlight the most significant international developments in the upstream industry. Regular features include ongoing and future projects, government policy and company news. Expert analysis will alert you to business opportunities worldwide. The weekly Sharewatch quickly highlights the status of the companies involved in the global upstream industry. Information Security Today provides essential information for managing the security of a modern, evolving enterprise. It is written for information security managers and other technical managers and staff who are the first-line support responsible for the daily, efficient operation of security policies, procedures, standards, and practices. Oilandgaspress is a professionally packaged Press Release service by Vchris Limited. A media relations consultancy company, which links corporate organizations directly with the media-print electronic. We offer a unique opportunity for corporate organizations to get their company news, press release and corporate profiles to a huge online population globally. Oilandgaspress provides an optimised press release service that enhances a companies or organisations profile within the search engine directories. An online news release will take your companies message to thousands of potential customers and will allow for click-through to your website. As e-commerce professionals the Oilandgaspress staff will ensure that thousands on the web read your press releases everyday. Oilandgaspress ensures that each press release is optimised for the search engines utilising keywords that are used by your target audience in searching for your product or information. Founded in 1989, the Information Security Forum (ISF) is an independent, not-for-profit association of leading organisations from around the world. It is dedicated to investigating, clarifying and resolving key issues in cyber, information security and risk management and developing best practice methodologies, processes and solutions that meet the business needs of its Members. ISF Members benefit from harnessing and sharing in-depth knowledge and practical experience drawn from within their organisations and developed through an extensive research and work program. Virus Bulletin is a security information portal, testing and certification body with a formidable reputation for providing users with free of charge independent intelligence about the latest developments in the global threat landscape. It includes comparative product reviews featuring the unique VB100 (anti-virus) & VBSpam (anti-spam) award scheme and a wealth of material dating back to 1989. The annual international Virus Bulletin conference is cited by many as the IT security event of the year. Europeans are holding out great promise for shale and other unconventional energy resources as a means of enhancing domestic resources and energy security. Natural Gas Europe is an online community focused primarily on unconventional gas resources in addition to energy security and pipelines.